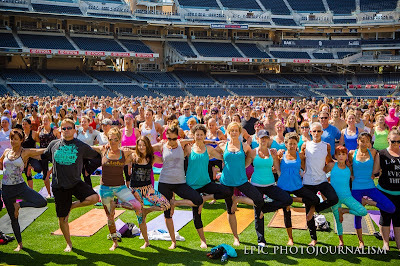 An anticipated 1,000 health conscience San Diegans will unite on Saturday, June 13 on the centerfield grass of San Diego Padres' Petco Park to practice yoga and show support of City of Hope, one of the nation’s leading centers for cancer treatment and research. 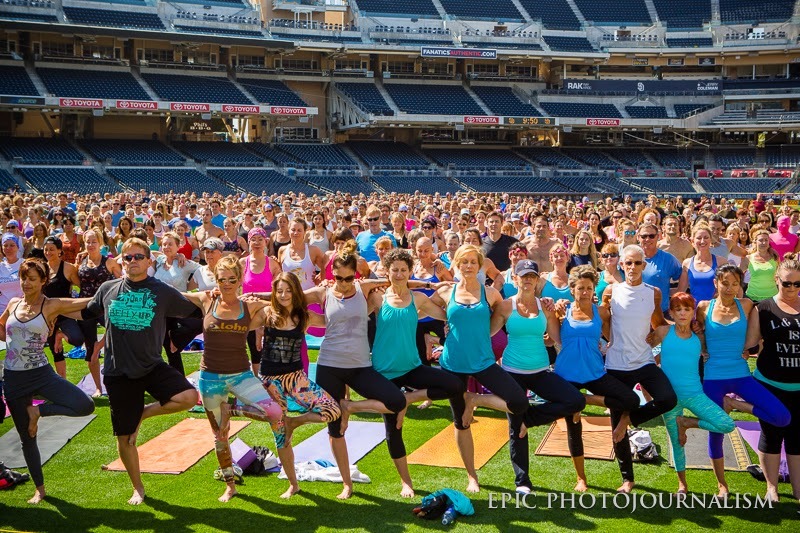 Yoga for Hope is the largest yoga fundraiser in Southern California and proudly showcases San Diego’s premier yoga studios and wellness enthusiasts as they join together to raise funds for cancer research and raise awareness of the benefits of yoga. We have two tickets to the 5th installment of this worthwhile event. Read on for all the details and be sure to enter. 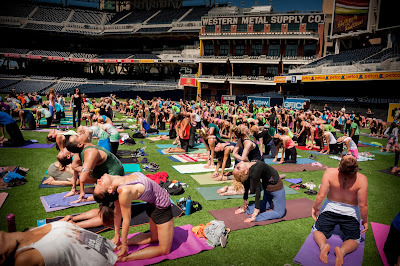 Yoga for Hope will consist of a Yoga Marketplace featuring over 30 vendors and a master yoga class led by 4 celebrated and acclaimed yoga instructors - Stacy McCarthy, Michael Fukumura, Claire Petretti Marti and Dominic Mineo. The proceeds from the event benefit research, treatment and education programs at City of Hope, aiding the center’s efforts to expand awareness of the importance of the mind-body-spirit connection when battling cancer, diabetes, HIV/AIDS and other life threatening diseases. Yoga for Hope is an unforgettable event for yoga beginners and experts alike to bring awareness to the benefits of yoga practice for patients with life-threatening illnesses. This one of a kind yoga event combines education, sunshine, asana, fresh air, shopping, food and an opportunity to contribute to patients directly. The diverse, four-instructor line up guarantees a little something for everyone on the mat and the expanded Yoga Marketplace means participants will not leave empty handed. 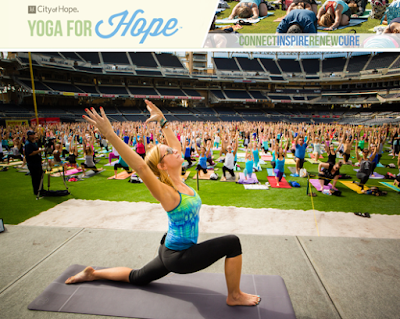 Registration for Yoga for Hope is $45 and $35 for yoga instructors (through June 11). There will be a $10 increase for all participants who register after June 11. The event begins at 7am on Saturday, June 13, with the first yoga class starting at 8:30am. From its inception, Yoga for Hope has raised more than $100,000 and united thousands of yogis and dozens of studios to raise vital funds to aid City of Hope doctors and researchers to continue their lifesaving work. For more information and to register, visit yogaforhope.org/sd.